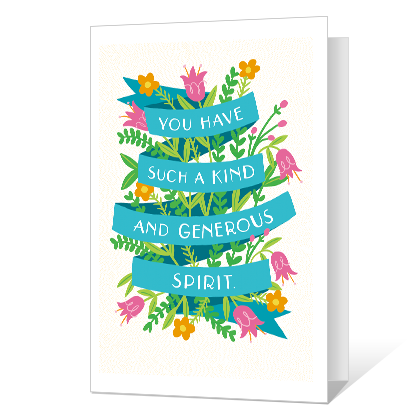 Cover Verse: You have such a kind and generous spirit. Inside Verse: You never miss a chance to say something nice, do something good, or share something positive. You're a blessing and appreciated so much.